Amid an increase in traffic-related deaths, D.C. officials are considering proposals aimed at making streets safer. More red light cameras, more bike lanes and tickets for parking in bike lanes are all possible. News4's Mark Segraves reports. 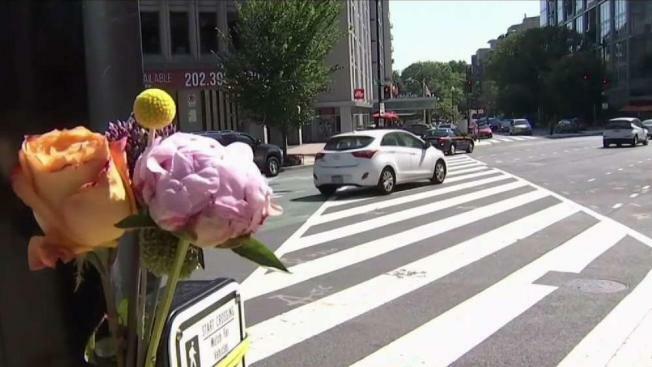 Following an increase in deadly crashes, D.C. Mayor Muriel Bowser announced Tuesday that city officials are considering a number of new traffic restrictions, including lowered speed limits in residential neighborhoods and bans on right turns during red lights. D.C. officials are reviewing a proposal to ban right turns on red at 100 intersections, Bowser said. 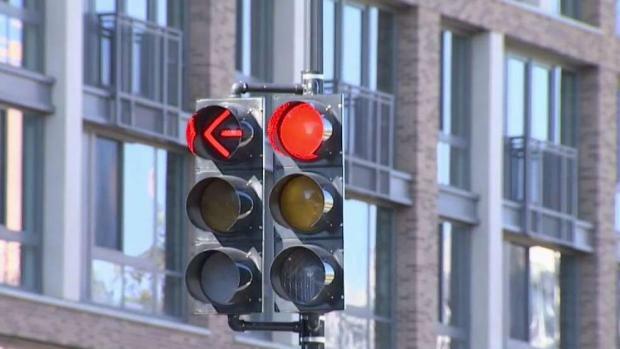 News4 was first to report on Monday that turns on red could be restricted. No right turns on red? That could be the law of the land in downtown D.C. and other locations. News4's Adam Tuss has the First on 4 story. This year so far, 31 people have been killed in D.C. in traffic crashes — marking the deadliest year since 2011. The deaths this year include eight pedestrians, three cyclists and one electric scooter rider. Carlos Sanchez-Martin, 20, died after he was hit by a car Sept. 21 while riding an electric scooter around Dupont Circle. Three days later, Thomas Hendricks Hollowell, 64, was killed by a hit-and-run driver as he rode his bike to work at the Smithsonian Museum of Natural History. And on July 7, Jeffrey Hammond Long, 36, was fatally struck by a truck while biking at M Street and New Hampshire Avenue NW.